Watching Lessons as a Trainee for the first time. The Learn section is available to all users with the Trainee Role. If a user only has the Trainee role this will be the only section they see. This is the Trainee Dashboard that gives the Trainee an overview of their Training. We can see lessons that have been scheduled to us as well as lessons that we've previously started watching but haven't finished yet that have either been scheduled or from the Library. 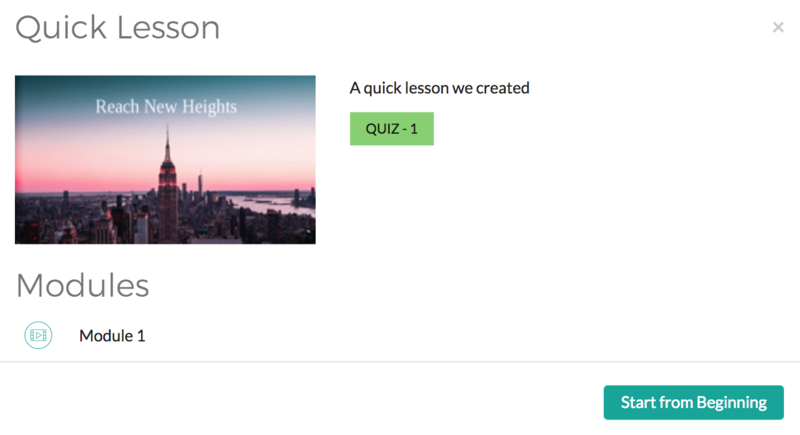 After hovering over a lesson, you can click the "Start" button. 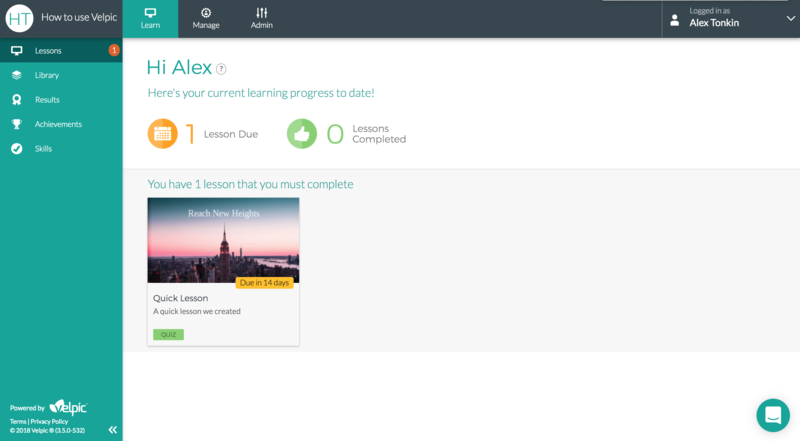 You will then be presented with a dialog where we can see the modules in the lesson as well as a button to "Start from Beginning". If we had partially watched the lesson then we would also be given the option to continue from where we left off. Once we've completed a Scheduled Lesson, we can see that the lesson will no longer be due for completion. If you complete all your scheduled lessons the Trainees are prompted to have a look at the Library lessons available. The Library menu item lists the lessons that are available to us on demand. We can follow the same steps as above to play these lessons on this screen. We also have the option to search for content, select categories and filter by tags to find the content that is most relevant to us. 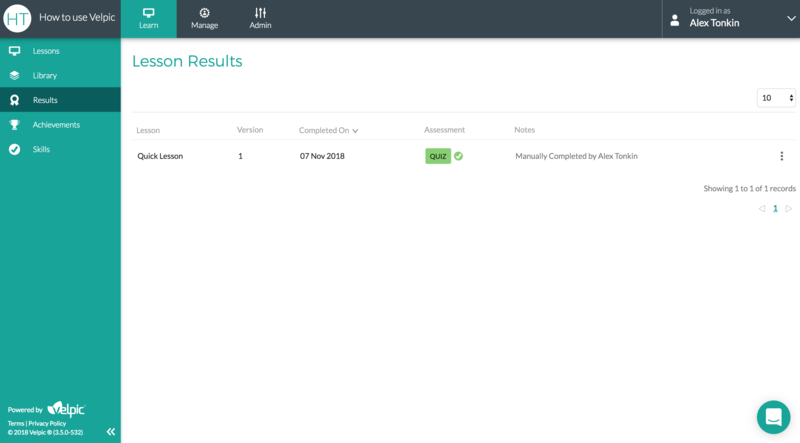 Clicking the Results menu item gives the Trainee their records of previous Lesson completions. They can view the results of these completions if there was an assessment in the lesson as well as the ability to download a certificate for the lesson completion if the Trainee passed the lesson. These results are available to Supervisors of the Trainee as well as Admins. We've just watched lessons in Velpic for the first time.